I have noticed that if I press F10 when on a terminal, Ubuntu or the terminal opens the File Menu. Is there any way to unbind this? I want to use function keys in Emacs to debug my code (e.g. F10 triggering gud-step, etc.) when running Emacs within a terminal ( emacs -nw) but at the moment the terminal seems to be capturing my keys. If I go to Edit -> Keyboard Shortcuts I can disable the option "Enable the menu short key (F10 by default)". So I disabled it. However , the key F10 is still bound to the menu!! Is there a way to unbind this key other than through the Edit-> Keyboard shortcuts menu? Perhaps there is a configuration text file under etc where I can activate/deactivate keyboard shortcuts? I also followed all the tricks here and they didn't work. F10 still behaves as an accelerator in the terminal. and the problem still persists. 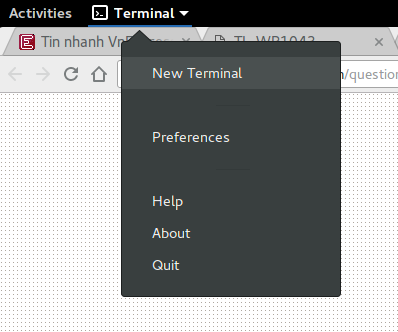 If you're using gnome-terminal, go to Edit > Keyboard Shortcuts. There is an option to unbind F10 from the file menu. Unfortunately there doesn't seem to be an option for F11. But note that F11 is a system-wide shortcut for full-screen. Update: Thanks to James Henstridge for pointing out that there is an option for F11, since it appears on the view menu! Unfortunately OP says this is not working. I am not able to reboot at the moment to determine if it works on my system. Ok, I found this: https://bbs.archlinux.org/viewtopic.php?pid=1017546#p1017546 . Does that work? I found that in addition to disabling the F10 menu accelerator key in the gnome-terminal preferences, I also needed to unbind it from Unity. Using the Compiz Configuration Settings Manager, select Desktop, then Ubuntu Unity Plugin, then in the General tab, then disable the "Key to open the first panel menu". After which, Robert should be your father's brother. How do I turn off the alt-shift-uparrow keybinding in GNOME? 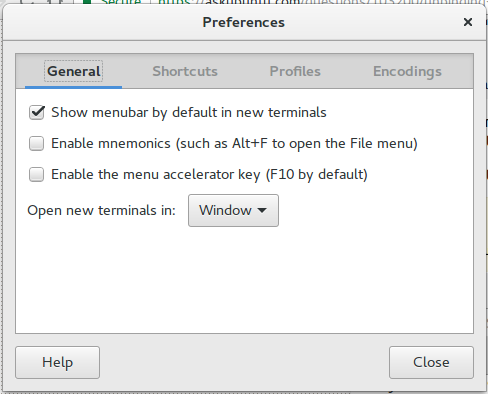 How do I get menu accelerator keyboard shortcuts to work in Terminal?